Sport: Stocks is back firing on full cylinders again, but the week didn’t start out like that. 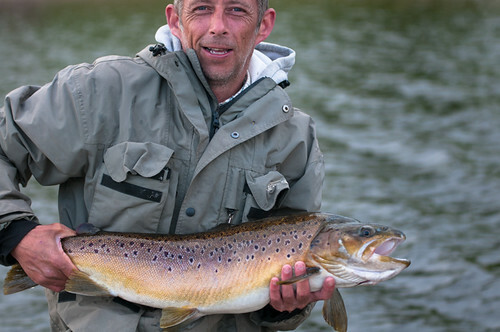 At the beginning of the week there some colour in the water and the fish were not really playing ball, but as the week has gone on the catches have increased significantly and yesterday the rod average climbed to 6.8 fish per angler. The top rods were Peter Andrews and Andrew Bentley who landed 30 trout between them. They caught most of their fish from the Northern Shallow near the causeway. They used floating lines with damsels and cormorants and a slow figure of eight retrieve. At the other end of the shallows at Phil’s Flats Paul Davison had 17 trout his boat. He caught on dabblers amongst other things. Neil Heath moved around various spots including Curry’s Cast, Gull Island, Newclose and Willow Island to catch 9 good rainbows. Neil used a variety of lures fished on a floating line. From the shore Keith Landless made good a half day ticket with 14 trout to the net. Keith fished a floating line with a tadpole on the point and buzzers on the droppers and caught well on both patterns. There were several good catches throughout the week, but to name a few: Paul Miller had nine fish from bell point on an SSi line with two boobies twiddled in. He caught most of them on the hang or the lift. David Manning had five rainbows up to 8lbs in weight from Hollins Bay on various lures. Ian Drizedale and Craig Wishart had 14 to their boat whilst fishing over the Northern Shallows. Their best pattern was a cat booby fished on a sinking line and twiddled in slowly. This entry was posted in Stocks Reservoir Fishing Reports on March 30, 2019 by staff.